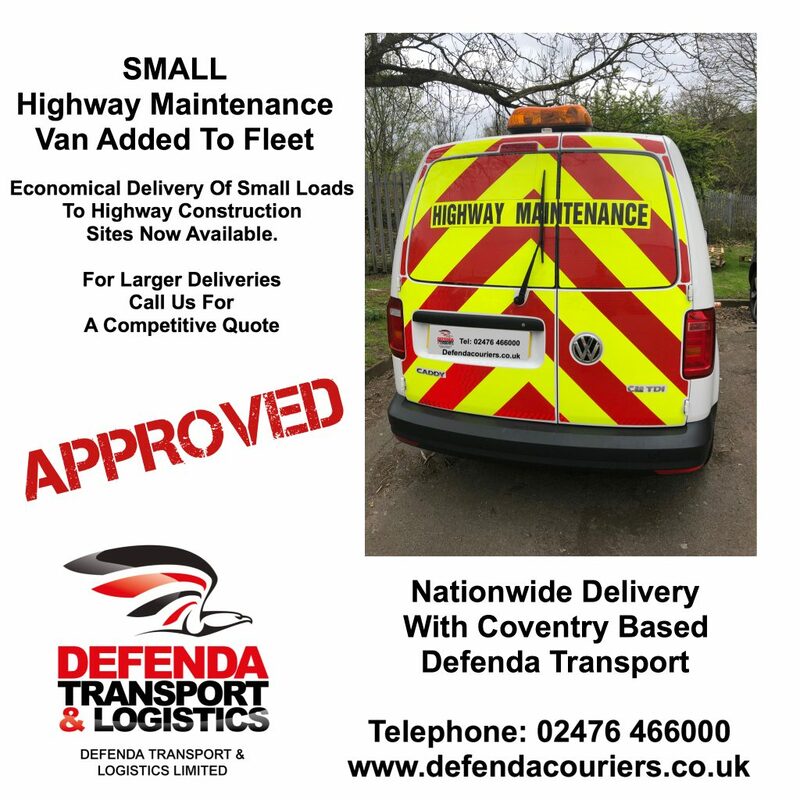 With an increasing number of clients requiring deliveries to Motorway or Highway construction sites we have added another fast response small vehicle to our Highway Maintenance Chapter 8 compliant fleet with lights. Of course the vehicles can be used for other deliveries and offer improved visibility when our delivery drivers need to park on the road to complete a delivery when they’re unable to secure a parking space. This entry was posted in News and tagged Chapter 8 compliant Highway Maintenance Van, Chapter 8 vehicle, Highway Maintenance Livery Van on April 12, 2019 by Paul Clark.